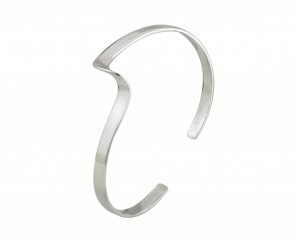 Our Silver Torque Bangle Item STQB3N with wavy lines is fashionable and funky and is for the modern and edgy woman in you. 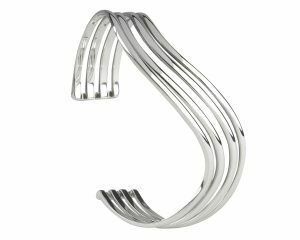 The ladies silver wavy torque is perfect for a modern woman that loves her torques and wants a silver torque that is innovative and unique with a funky design that is fashion forward. 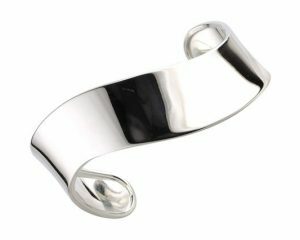 Both the exterior and the interior have a highly smooth polished finish. The simple wavy design is edgy and minimal making the torque bangle stand out as edgy. Perfect for the modern, outgoing woman of today. 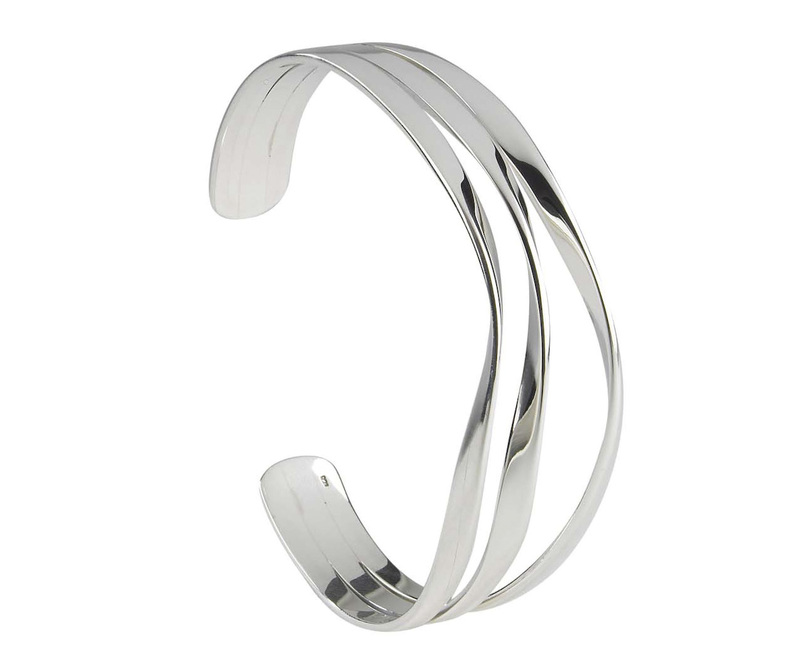 The Silver Torque Bangle is made from sterling silver and has a hallmark of authenticity. 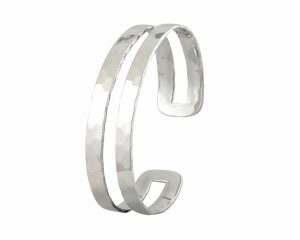 The finish is polished with a flat inside and rounded exterior.